I want to pass on some information about what is happening here at RPI in Troy, New York. Iraqi-born Chicago artist Wafaa Bilal's art show called Virtual Jihadi has been "suspended" by the university on the day before Spring Break. Below is a link to an interview with Wafaa from today just after campus security changed the codes on the arts building as well as an article in today's Washington Post. a knightly suicide-bomber. He is the "Virtual Jihadi." about Americans' conceptions of the enemy in Iraq. William N. Walker, a vice president. Saddam Hussein's Iraq, it was censorship. have any right to say your point of view." becomes an al-Qaeda recruit and hunts Bush. Kathy High, head of the arts department, said in an interview. confirm nor deny her account. and about conceptions of what creates a suicide bomber. lecture before the exhibit was "stimulating and thought-provoking,"
with the norms and policies of the Institute." College Republicans and a co-author of the blog. critic as a "respected artist" who "does not support al-Qaeda." terrorism is not a terrorist act." Several of Bilal's other works evoke the violence of the current war. and fire yellow paintballs at him. shown at the Sanctuary For Independent Media in Troy starting Monday. Polytechnic Institute as he awaits its decision. Link: YouTube - Wafaa Bilal interviewed on the RPI censorship. 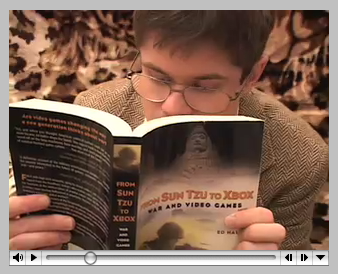 Here's an online artifact that stymies Babelfish: a review of From Sun Tzu to Xbox in Catalan! Anybody out there willing to offer a translation? 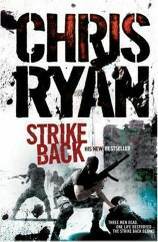 In the current issue of the London Review of Books, Andrew O'Hagan looks at two bestselling British war thrillers--Andy McNab's Crossfire and Chris Ryan's Strike Back--and contends that "it is only in more recent times that the task of writing novels about battle has fallen chiefly to bad writers." Of note particularly for our purposes: O'Hagan spends nearly half of his review setting up an analysis of the current generation of soldiers by discussing the ubiquity of videogames, from Halo 2 to Manhunt 2 (currently the target of censors in the UK). 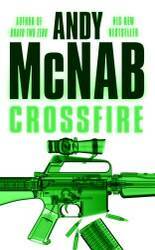 Men who don't ordinarily read have come in great numbers to love the insiderish bravado of McNab and Chris Ryan. Their books are driven by stereotype and cartoon violence, by idiocy, prejudice and unreality, which is why they are inadvertent masterpieces of social realism, for in their garish video-game manners they enclose their subject. Unfortunately, most of the review is unavailable unless you are a subscriber. Link: LRB · Andrew O’Hagan: Living It. For your online pleasure: From Sun Tzu to Xbox now available on Google Books, complete with the incorrectly-capitalized "XBox" portion of its name under which my less-than-careful publishers registered the title, among their other editorial injustices. I am really into the Google Map that shows you places mentioned in the book. Wired links to a story on the America's Army official site about 28-year-old Paxton Galvanek of Silver Spring, Maryland, who claims that his in-game combat medic training helped him respond to and treat victims at a car accident last November. According to AA's site, "This is the second time an America's Army player has reported successfully using medical skills learned through playing the game to respond in a life-threatening situation. " Wired reports that the Army is setting up a new office devoted to video games. TPO Gaming "will focus on using videogame graphics to make those dull military simulations more realistic, and better-looking." 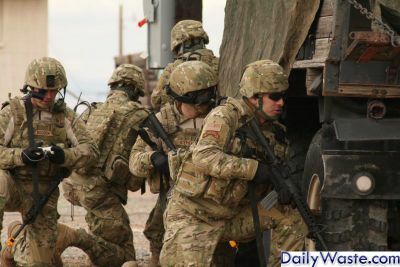 “We do not want to tell the commanders in the field they cannot spend money and train with games. However, we do want to ensure that commanders get the best training tools and that the Army spends its limited resources wisely in the procurement of those tools,” Maffey added. Millar said units should approach TPO Gaming with their requirements rather than go out and buy games. 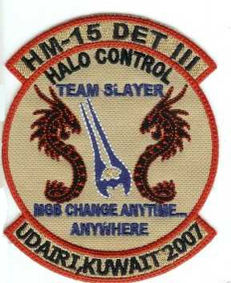 “I don’t have the authority to tell commanders what they can and cannot do. 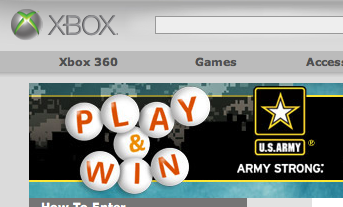 But what I do have is the responsibility to speak for the Army on what gaming technology fills which gap. 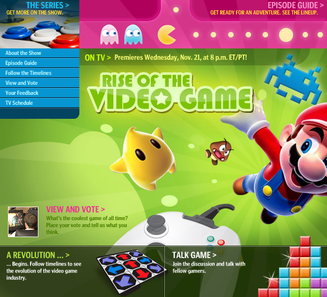 Amerikanskers: have you yet seen the Discovery Channel's Rise of the Video Game? It continues with new installments each Wednesday. I'm featured in at least some of the episodes, probably most often in parts Three and Five. post-script: This is the same (exact same?) documentary series known as I, Videogame outside the States.